Researchers at Georgetown University received over $200 million in research awards in 2010. According to Georgetown University’s website, the school’s largest research center – Georgetown University Medical Center – hosts more than 400 scientists researching basic and clinical projects. The medical center is currently conducting 300 active clinical trials, in which researchers focus on child health, cancer, neuroscience and global health among other life science disciplines. 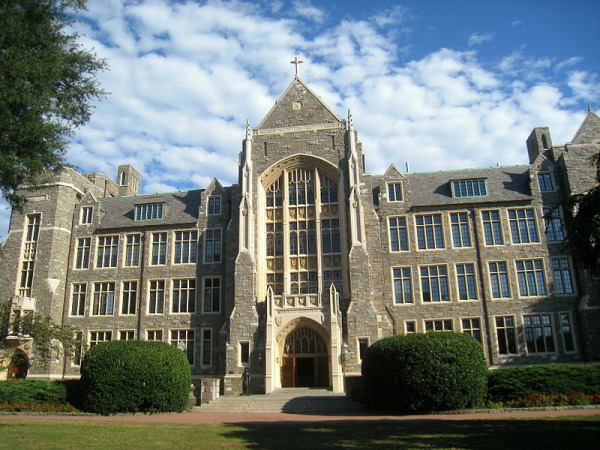 Georgetown University conducts a number of groundbreaking studies in the life sciences, and the school receives a wealth of research funding. Lab suppliers interested in marketing life science solutions and increasing scientific product sales may want to learn more about the well-funded market at Georgetown University. In 2012, the NIH awarded Georgetown University $53.5 million in research funding. For a full list of departments at Georgetown University receiving NIH awards organized by department name, number of awards received and total funding awarded, please visit the NIH funding report. In addition to receiving a great deal of funding from NIH in 2012 and thus far in 2013, Georgetown University also received $6 million from the NSF in 2012. For a full list of projects receiving funding from the NSF at Georgetown University, please visit the NSF website. If you are a lab supplier interested in marketing life science solutions and increasing scientific product sales, Biotechnology Calendar, Inc. invites you to attend our annual Georgetown BioResearch Product Faire™ Event on October 17, 2013. Biotechnology Calendar, Inc. is a full-service science research marketing and events-planning company that organizes life science marketing events at top research universities nationwide. To view more funding statistics for Georgetown University, or for more information on our Georgetown BioResearch Product Faire™ Event, click on the button below. If you’d like to market your life science solutions and increase scientific product sales at life science marketing events closer to home, we encourage you to view our 2013 calendar of events.